For w+k London's 20th anniversary they had a massive cake made of all their best ads. Utter nonsense. Brilliant. Richard Turley and friends have launched a newspaper in New York. It looks great, you should buy a copy. But the best bit, the bit that's the most fun and the most clever is this. Genius. Always a frisson on the forums when Pentagram appoint a new partner. I’m excited by this one, Marshall is exactly who Pentagram should be appointing. The mix of classic product design with a good understanding of technology and designing for different types of connected interaction suits their heritage and future perfectly. Kano and BleepBleeps is exactly what Pentagram should have been doing. I’m a huge fan of Map Project Studio (founded with Edward Barber and Jay Osgerby) and this must be a big loss for them. After 33 years in charge of WPP Sorrell resigned, technically retired, probably before he was pushed. And that’s not the only similarity with Arsène Wenger. It’s big moment in advertising and design as well, with many more questions than answers and a lot more to come from this story. What happens when this merry go round comes to a halt? The FT is betting hard on a big break up with several articles this week. Worth noting that the idea seems to come from analysts with a desire to get in the press rather than anything concrete. Is WPP the ad industries Carillion? The finances are nowhere near as bad but are we about to find out how much a financial construct it is versus a creative company? In collaboration with other design firms Foster and Partners released Node, a system to incorporate all the lighting, security, fire prevention and air conditioning services an office needs elegantly. It looks good and flexible. I’m no architect but this looks smart. I had a conversation this week where we wondered why designers are so reluctant to embrace systems. Every big successful design project involves many complex systems. I remarked that Foster + Partners were especially good at this. Scott Galloway (mentioned in para 27) writes that Apple should launch the world’s largest tuition-free university. Everyone has an idea of what Apple should do with all its cash. Maybe they’ll buy WPP. So much of modern communication is like this. Badly written, poorly designed, unclear, confusing, multi-layered ideas that look like phishing. Found via an FOI request by Money Marketing. Here’s a picture of the Apple Store in Bluewater, a shopping mall in Kent. It could be any Apple Store anywhere. Notice that it has nothing in the windows. No marketing collateral, no promotional offers, no posters, no displays, no product, nothing. As far as I’m aware this only changes at Christmas when they have a simple Christmas product display. There are over 300 shops in Bluewater and the windows of every other store are littered with marketing and special offers. Admittedly some of the more luxury stores have less stuff in the windows, but they all have something. You can barely see inside some of them. Apple have the highest sales per sq ft of any retailer. 30% higher than the number two. Highest sales. Nothing in the windows. Those sales figures aren’t just down to the windows obviously. That’s down to a mix of product, pricing, atl marketing and other stuff. But still, you’d think one of the others would have tried the nothing in the windows strategy. I have absolutely no idea what caused this spike or where these visitors came from, but welcome newcomers! Citymapper started a bus route age ago. And that's probably a silly idea, but read this blog post about how they did it and marvel at what a small tech company can do. They built a fully functioning end to end transport system. Albeit small and with very carefully controlled conditions. But they built a prototype and tested their riskiest assumptions on real users. "We built the entire technology stack for a bus, starting in our own office. We built a driver app, a smart display, tracking software, scheduling systems, control systems, even strange flashing headsigns. We have been able to run our buses smoothly. We made software updates, even during live operations. We provided accurate realtime data in our app, as well as supporting open data. The agility needed to do this is the huge advantage Citymapper has. Forget the bus, it’s not about the bus. It’s about the agility. If you are a legacy organisation this is the problem, over time you’ve lost agility. And now all you have left is, what? Connections, relationships? Customer loyalty? Brand? I think we’re starting to find out those things don’t count for much. I might start a new section just on Threads. Here’s three good ones from the last few weeks. A rare of example of the internet still being brilliant. 6 Music asks what’s the strongest run of three songs in a row on an album? Thread 👇here, easier to read summary here. 58. A negative New Yorker article on Heatherwick’s new project The Vessel, in Hudson Yards. The article features artwork by Christoph Niemann who I love but it’s a 10MB page, that took 59 seconds to load which I didn’t love. There’s a lot more negative press for Heatherwick these days. For my money there is still more in the positive column than the negative column. Would love to see more of this. Harmless (?) data used in simple ways with low risk (so what if everyone ignores it) but potentially high reward (better public health). Better than putting ads on every screen. 60. Brand = margin, therefore Bezos is going after brands. As I’ve mentioned before we are starting to discover the true value of “brand”. Death, for brands, has a name... Alexa. 61. And here’s the perfect example, the Dyson car. Dyson should be good at this. Already good at batteries, good at engineering, good at innovation, good at supply chain. But who wants a car from a hoover company? Would you buy a Hoover car? Would you buy a hoover from Vauxhall? Does anyone care anymore? Remember LoveMarks? (Remember Kevin Roberts?) We’re about to find out the true value of "brand" and it’s going to be brutal. I discovered recently that the Pet Shop Boys have published their own magazine, Literally, since 1989 and last year announced it would become an annual publication. Literally becomes Annually. So good. 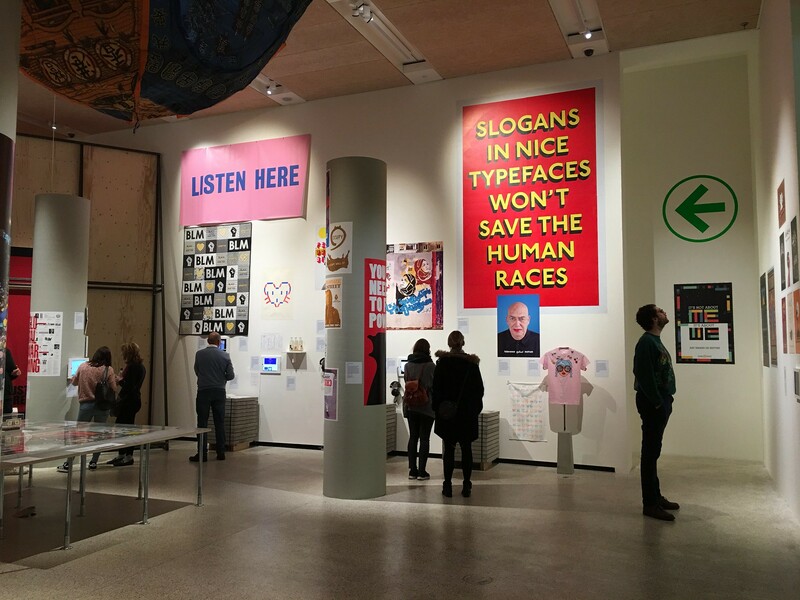 I went to the Design Museum’s Hope to Nope exhibition at the weekend. It was good, I enjoyed it, Russell you should go and then you can look at the screens and the Ferrari exhibition. More about the screens later. Hope to Nope only covers 2008 to 2018. This is smart. It makes the exhibition simpler and more focused. It’s a raw exhibition, it feels immediate and that suits the subject matter. Upfront it states that the world has been a more unstable place since the banking crisis. I’m sure someone will tell that they’ve missed a certain movement in a certain country – but it seemed a good selection to me. From obvious things where design would normally play a part like Trump to less obvious ones like Catalonia, Turkey and Grenfell. 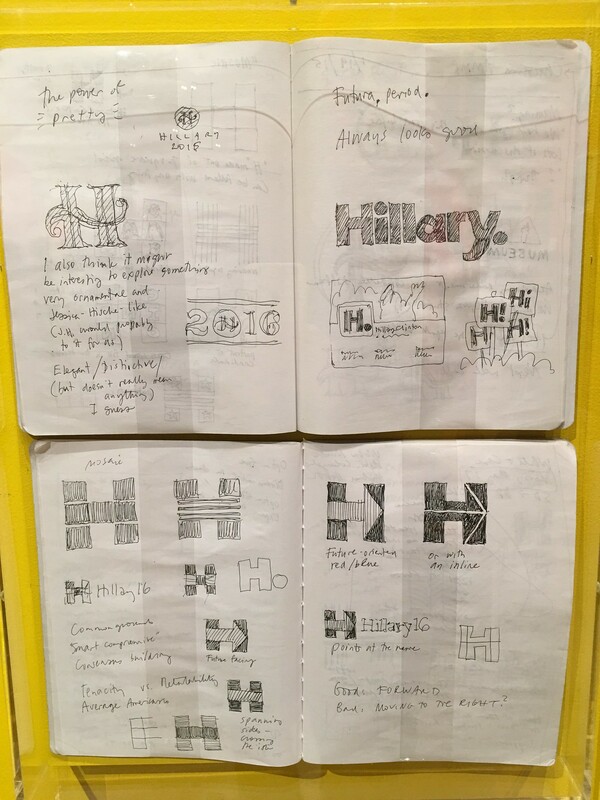 There’s a nice moment where they show the Hillary logo by Michael Bierut and the Remain campaign by North and acknowledge that while they are successful graphic designs the established nature of the design (and designers) has contributed to the ultimate failure of the campaign. That’s an awareness that design exhibitions often lack. Here’s the thing that really surprised me. It was an exhibition that featured screens and the museum didn’t mess it up. 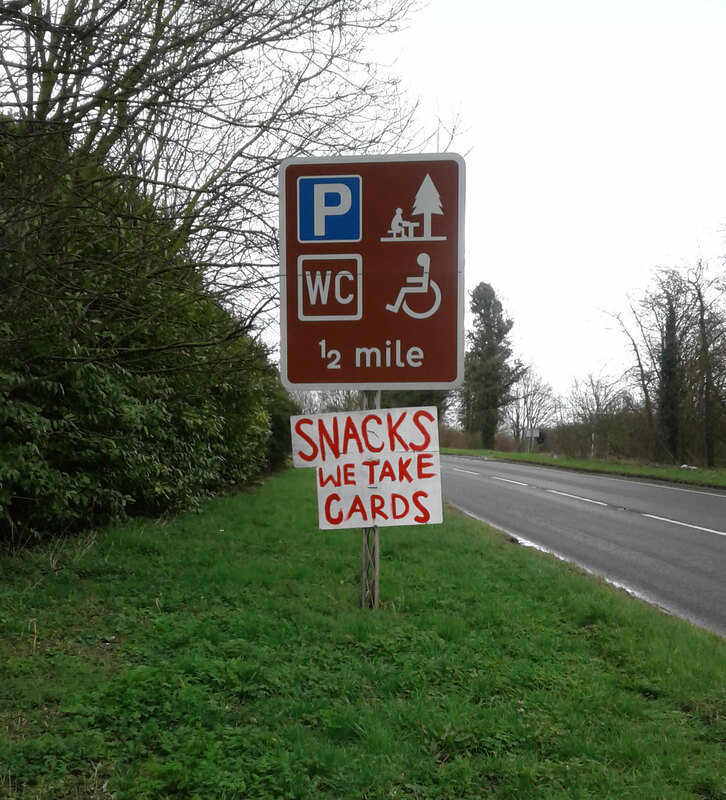 They all worked, no A4 notices. It even added to the exhibits. The Ferrari exhibition is decent too. A few more pics here and some Ferrari ones here.